single sincere caring lady. likes music, dancing,cinema. P.S. I DON'T REPLY TO PROFILES WITHOUT A PHOTO!!!!! someone single. i don't date attached men. someone with a good sense of humour. friendly. someone that knows how to treat a lady. someone unattached. newstart20181 is a Female dating in Laois, Ireland. 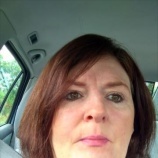 Check the description of this 52 years old profile, she is White/Caucasian and Catholic maybe this matches your profile description and you can both start dating in Ireland for free. The stars says she is a Sagittarius maybe you should check your horoscope and match up your star sign.